Hooter’s Casino Hotel, 115 East Tropicana Avenue, provides a fun-filled space for people to let their hair down and go a bit wild. The Hooter’s Casino Hotel, provides exactly what you would expect from Hooters: a fun-filled space, which is a great place for people to let their hair down and go a bit wild. 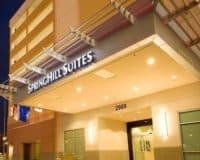 This combines with a great location in the heart of the Las Vegas Strip, to offer a wonderful and unique experience for those who want to have a great time in Vegas. 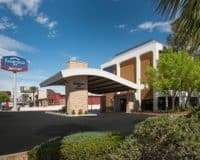 The main amenities of the hotel are the casino and restaurant, which offer a plethora of games and slots, alongside the classic meals that you would expect to find at a Hooters. All of which are served by the attractive young women, who are ubiquitous with the chain. This combined with the spacious pool and the free WIFI, makes it a great choice for groups of friends visiting Vegas to have a good time. The accommodation is comfortable and spacious offering a range of different rooms, to satisfy your every need. Each room offers a different view, ranging from high views over the bright lights of The Strip, to more relaxing poolside views. While the inside is equally good, featuring comfortable beds, flat-screen televisions, and clean modern bathrooms. Hooters Casino Hotel, is not designed for families and we wholeheartedly recommend that families choose other places to stay. 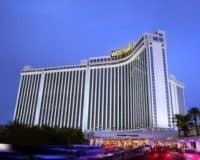 It is designed for groups of friends, visiting Vegas for a good time and on this front, it most certainly delivers: almost guaranteeing a wild-time in Sin City! 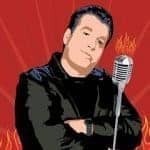 Vinnie Favorito: Wingin’ It: Stand-up comedy is nothing new to this Boston native and Italian funny-man. 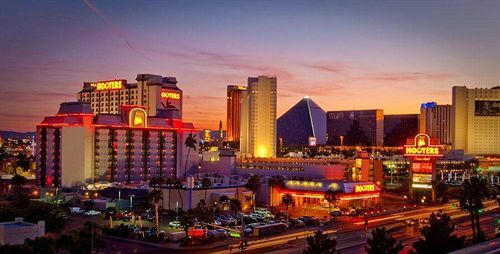 Close to the Las Vegas Convention Center, the Fashion Show Mall, and McCarran International Airport.